March is Washington Wine Month – a great time to celebrate and try some of the best wine’s that Washington State has to offer. At Orcas Island Market, we offering a great variety of wines to choose from. Pick up a bottle today! Columbia Valley Tier: Sourced from the Columbia Valley AVA, these true-to-varietal character wines offer uncompromising quality at incredible value. Reserve Tier: These limited production wines offer the best of the best from vineyard sources to barrels. Icon Tier: Available exclusively from our Tasting Room, the Icon collection represents the very best in Northwest modern style from winemaker John Freeman. A three-generation, family-owned winery, Kiona Vineyards creates lively, approachable wines that have great character on Red Mountain. Try the Kiona Lemberger or the Kiona Cab Merlot this month at Orcas Island Market. Maryhill Winery is the 9th largest winery in the state of Washington and is one of the Top 10 Wineries in the World.Located in an area dubbed the “Mediterranean of the Northwest,” Maryhill Winery grows a variety of grapes that have produced over 50 award-winning wines. Try the Sauvignon Blanc and Pinot Gris. Since the early 1980’s, Portteus Wines has been producing beautiful varieties of wines right in the heart of Washington State. Pick up two of their favorite wines: Rattlesnake Red and Pinot Noir. Alexandria Nicole winery began in 1998 when they broke ground on Destiny Ridge Vineyard. It was then that they started the process of nurturing the fruit quality from the bud to bottle. You can purchase their Quarry Butte red blend and Cabernet at your Island Market today. 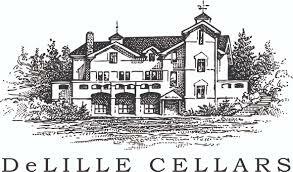 DeLille Cellars is a boutique artisan winery located in Woodinville, Washington. The winery was founded in 1992 by Charles and Greg Lill, Jay Soloff, and celebrated winemaker Chris Upchurch. DeLille Cellars pioneered Bordeaux-style blends from Washington State, and has maintained a tradition of quality and excellence with nearly 200 wines scored 90+ from leading publications such as Robert Parker’s Wine Advocate, Wine Spectator, Vinous/Stephen Tanzer’s International Wine Cellar, and Wine Enthusiast. Novelty Hill and Januik are two independent, family-owned wineries located in Washington State that share a destination tasting room and production facility under the direction of the acclaimed winemaker, Mike Januik. With hundreds of 90+ ratings to his credit, Januik has landed on Wine Spectator’s “Top 100” a dozen times & the winery was named “Winery of the Year” in 2011 by Wine & Spirits Magazine. Gilbert Cellars has a variety of full-bodied, light, and beautifully balanced wine. We carry three of their delicious wines: Gilbert Cellars Left Bank Bordeaux Blend, Gilbert Cellars Cabernet Sauvignon, and Gilbert Cellars Unoaked Chardonnay. The family-owned winery strives for excellence from vineyard to bottle, and sources fruit from several renowned estate vineyards in prime locations around the Walla Walla and Columbia Valley appellations. Dunham wines include Cabernet Sauvignon, Syrah, Merlot, Trutina (Bordeaux-style blend), Three Legged Red (red table wine), Riesling and Chardonnay. Owen Roe is committed to practicing the highest standards of winemaking. Since their first vintage in 1999, their goal has been simple; to produce beautiful wines from superior sites in the Pacific Northwest. A place where the fruit ripens slowly and fully, resulting in excellent acidity and balance. All of the grapes are hand harvested, handled with minimal processing, small-lot fermented and aged in French oak barrels. This year, Chateau Ste. Michelle, is celebrating more than 50 years of winemaking. Since then, they have combined Old World winemaking traditions with New World innovation. In fact, Chateau Ste. Michelle is one of the few premium wineries in the world with two state-of-the-art wineries, one for red and one for white. L’Ecole N° 41 is a third generation family-owned, artisan winery. 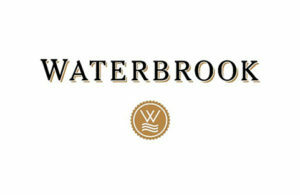 Founded in 1983, they are the third winery established in the Walla Walla Valley. They have become one of the most prominent and visible Walla Walla Valley wineries with national and international distribution. Inspired by early efforts of Rhone and Burgundy varietals sampled from Washington wineries, Syncline’s first vintage in 1999, consisted of 76 cases of Celilo Vineyards Pinot Noir from vines planted in 1973. The next year, production was increased to include Columbia Valley Syrah and Grenache. At the same time they began working with vineyards to plant Mourvedre, Cinsault, Counoise and Carignan. They have kept production under 6,000 cases annually to ensure intimacy with each barrel and every vine.